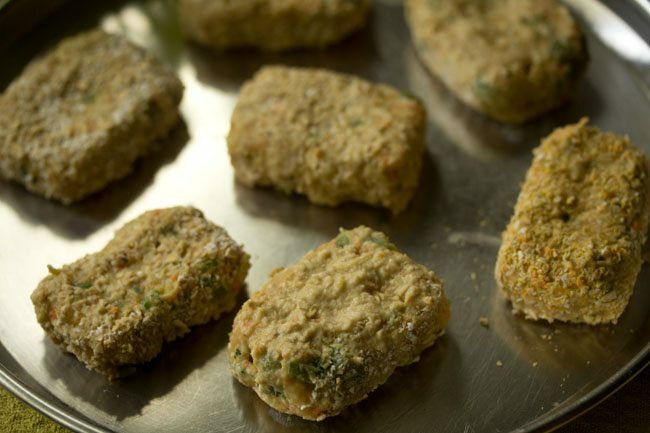 veg nuggets recipe - crispy veg nuggets made with mixed veggies. veg nuggets recipe with step by step photos – awesome mix veggie nuggets which are crisp from outside and unbelievable soft from within. these are so good, that within minutes the entire batch gets over. i had got a few recipe requests for veg nuggets. in between adding regular recipes, i also add recipes requested by readers. i have a huge list of recipe requests and i am trying to add reader requested recipes one by one. preparing these veg nuggets do take some time. but the best part is that once the mixture is ready, you can refrigerate or freeze it and later fry. with mixed veggies i always make veg cutlets or veg patties. 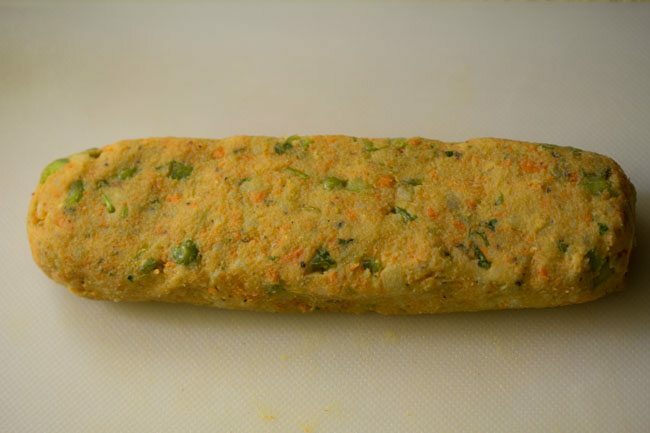 preparing veg nuggets is similar to making veg patties. i did refer to a few youtube videos for the preparation, but the recipe is my own. these veggie nuggets are like the nuggets you get in the fast food chains. i have used ground oats for the outer coating, which gives them a very good crisp texture from outside. cheese is also added which gives them a soft texture from within. 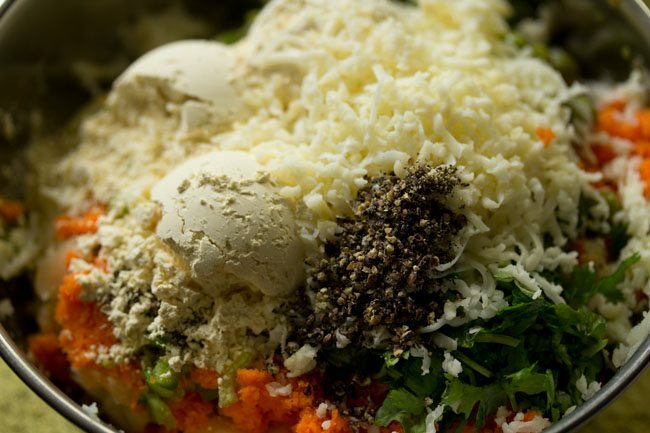 if cheese is not added, the texture will be like veg cutlet or patties. it won’t be that soft. 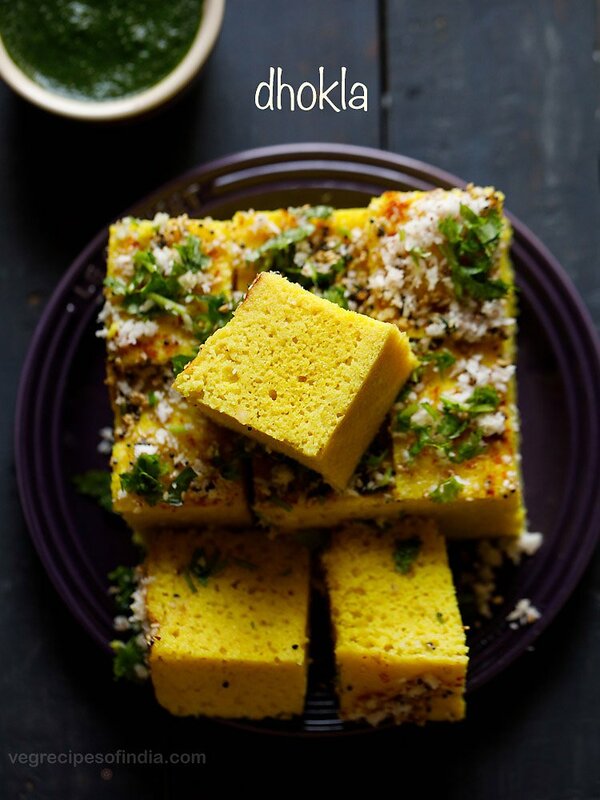 you can also add grated paneer instead of cheese. if you want, you can skip the cheese too. 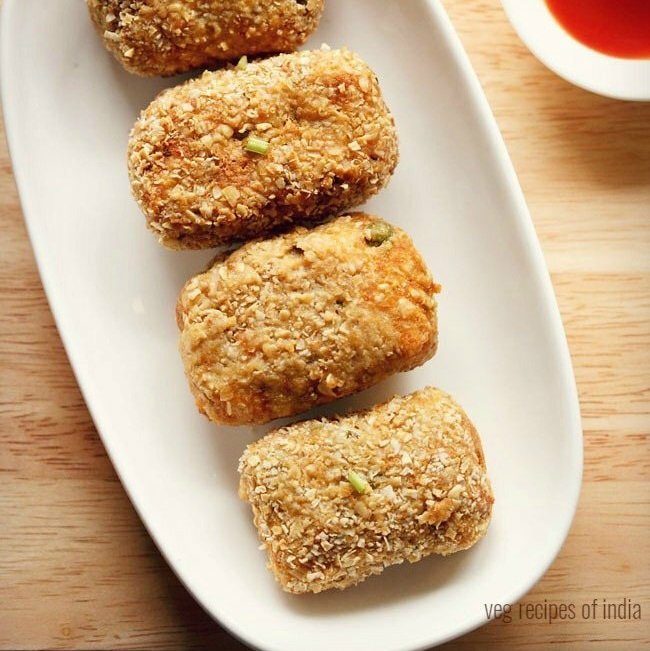 you can also check this easy paneer nuggets recipe. potatoes are one of the main ingredients in the recipe. the remaining veggies can be of your choice. i have added minced carrots, steamed green peas and green bell pepper. always serve veg nuggets hot or warm as then they taste good. 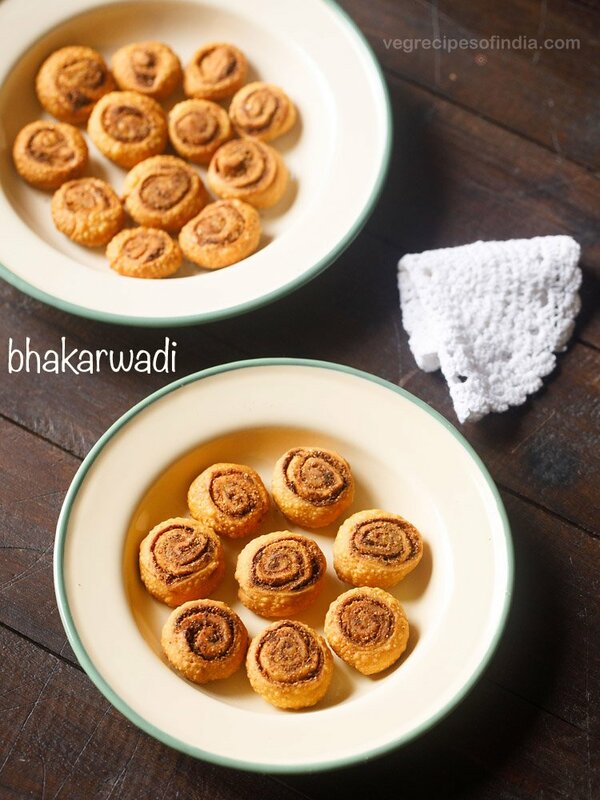 you can serve them with any chutney, sauce or dip. these also make for a good party snack or starter. 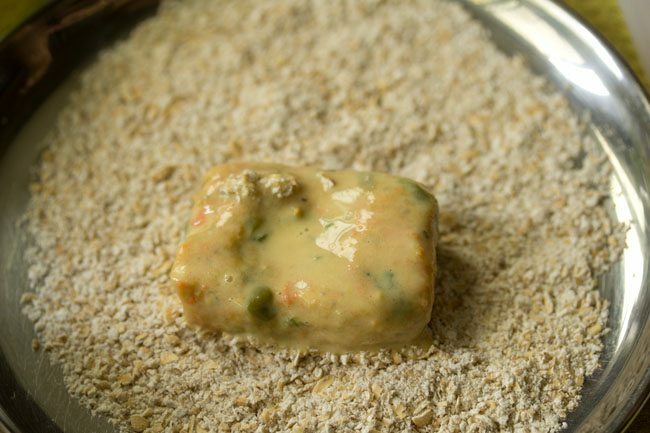 the nuggets have to be coated with a flour paste and then breaded with a dry ingredient. so do not skip this step. 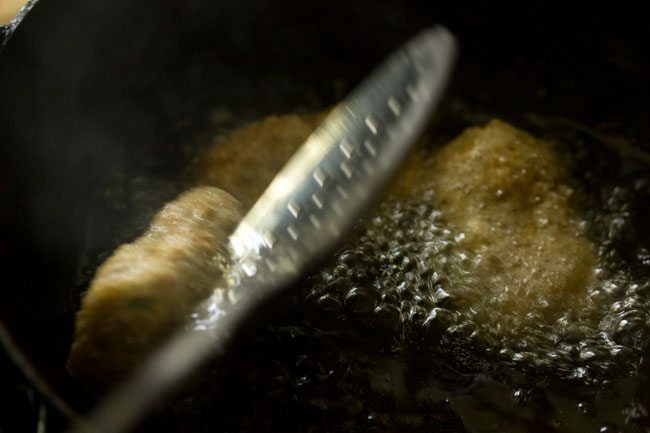 the coating help in giving them a crisp texture and also does not break them while frying in oil. 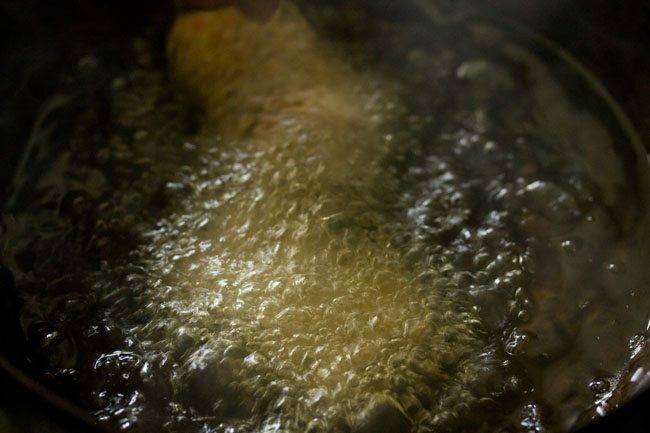 the oil has to be hot while frying. 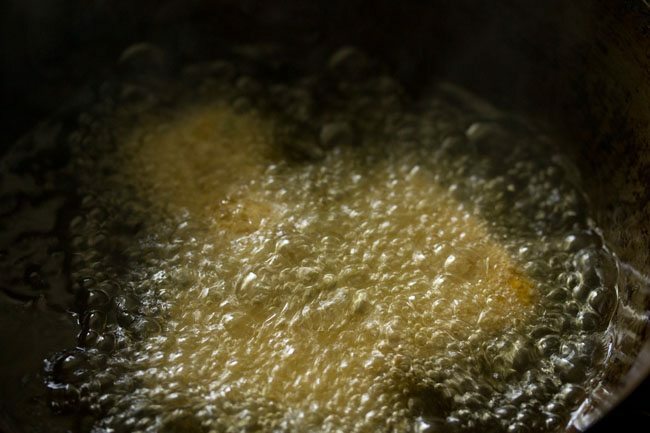 do not fry at a low temperature, as then the veg nuggets absorb a lot of oil. 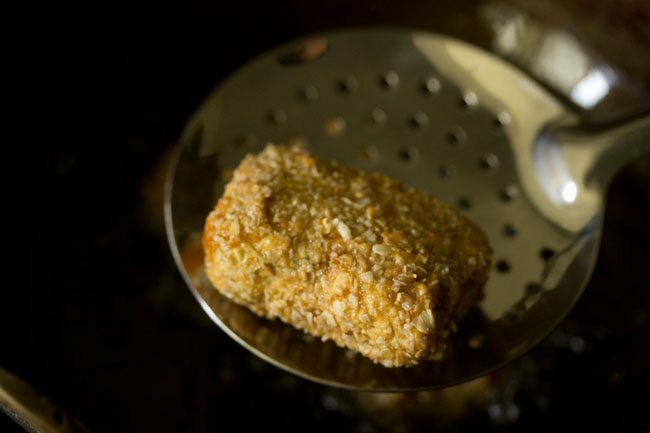 before frying, test a small batter coated and breaded piece. the small nugget piece should come up quickly in the oil. if it comes slowly or stays at the bottom in the oil, the oil is not hot enough. roast the besan and add. otherwise you may get a faint uncooked aroma in the nuggets. roasted gram flour or sattu can also be added. paneer can be used instead of cheese or you can use both cheese or paneer. instead of processed cheese, you can also use cheddar cheese. add cheese amount as mentioned in the recipe or else the veg nuggets can break in oil while frying. you can add veggies of your choice. if adding cauliflower, broccoli or corn, then steam them and then add. beetroots, cabbage or zucchini can be grated or chopped finely. mushrooms also need to be sauteed and then added. 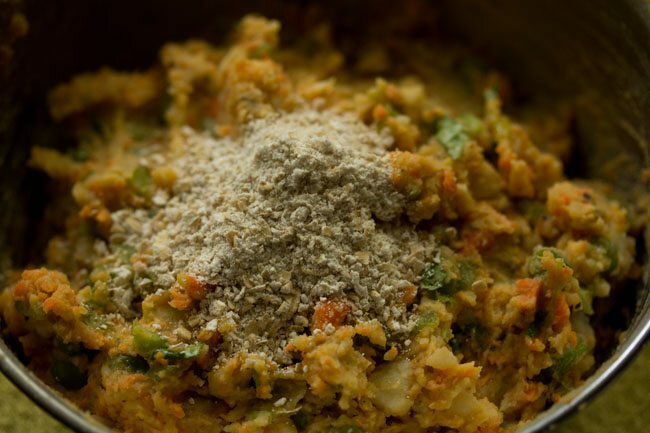 overall keep the entire proportion of veggies to 1.25 cups or 1.5 cups, except the mashed potatoes. if you increase than this proportion, you will have to increase the other ingredients too. the gram flour batter is slightly thin. you can make the batter with all purpose + corn starch flour or maize flour or rice flour or arrowroot flour. a few drops of lemon juice can also be added, for a slight tang. 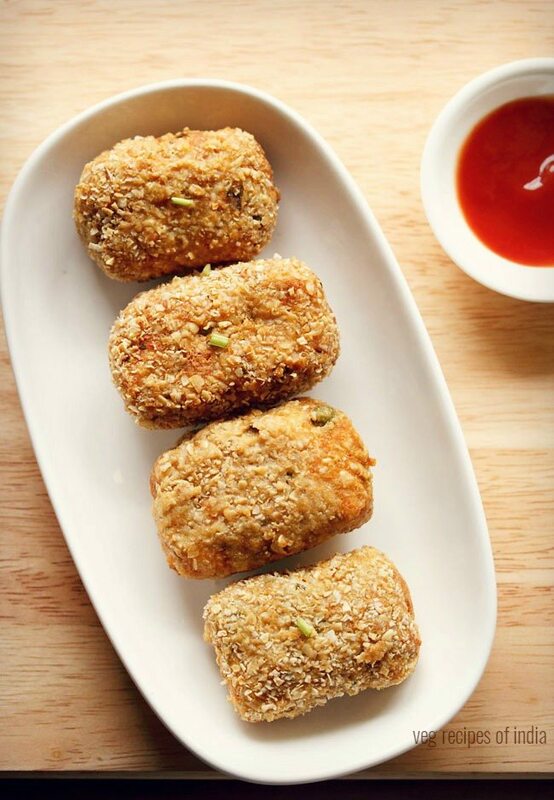 these veggie nuggets can also be pan fried, shallow fried, baked or air fried. if baking then bake at 180 degrees celsius. brush some oil on the breaded nuggets and bake in a preheated oven for 15 to 20 minutes or more till they are crisp and golden. timing will vary depending on the oven type, make and size. 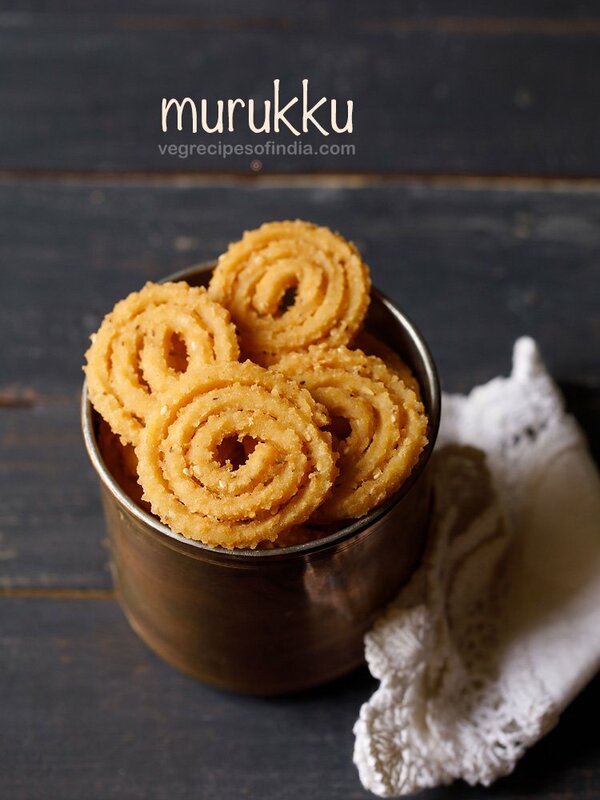 if you are looking for more snacks recipes then do check veg puffs, veg spring rolls, veg momos, veg pizza puffs, veg kathi rolls and mushroom puffs recipe. in a grinder jar or blender add 1/2 cup quick cooking oats. blitz or pulse till you get a coarse texture like. if you do not have oats, then use 4 to 5 slices of leftover bread. break them and add to the grinder. grind to a semi fine mixture. remove the ground oats in a plate or tray. steam or boil 5 medium potatoes and 1/2 cup green peas in a steamer or pan or pressure cooker. chop the coriander leaves and keep aside. roast the besan lightly till it becomes aromatic. while the potatoes are still warm, peel and then mash with a fork or potato masher. 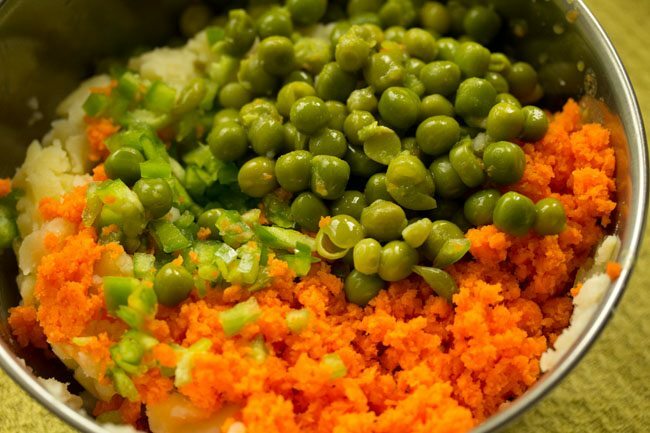 now add the cooked green peas, minced or grated or finely chopped carrots, finely chopped capsicum to the mashed potatoes. add all the spices and herbs. season with salt too. then add 3 tablespoon slightly roasted besan and 1/4 cup grated processed cheese. you can also add corn starch or rice flour or all purpose flour instead of besan. mix very well and then add 1 to 2 tablespoon of the ground oats. mix again very well. check the taste and add more salt or spices if required. now make a flat log shape and slice the log into nuggets. you can even take a small portion of the mixture and shape in to nuggets. keep aside. in another bowl, take 2 tablespoon besan and 2 tablespoon water. mix very well to a smooth paste. instead of besan (gram flour) you can take half-half of all purpose flour (maida) and corn starch. you can also take rice flour or maize flour. 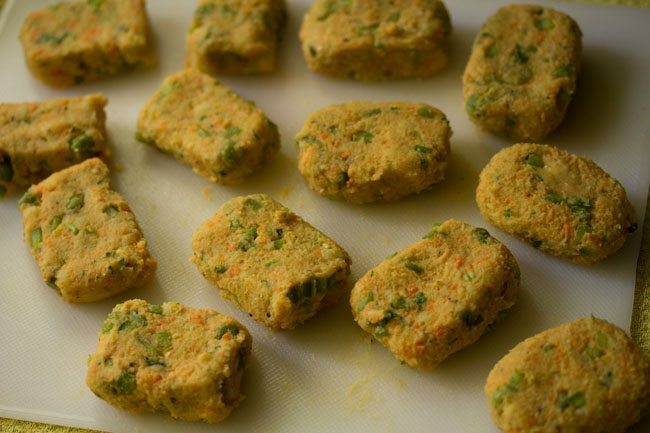 take each veggie nugget and dip in the gram flour batter. 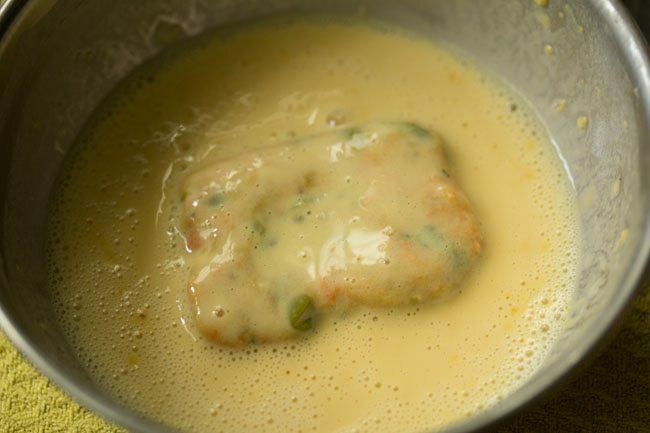 gently turn over so that the gram flour batter coats the nugget. remove and let the excess batter drip off. now place the batter coated veg nugget on the ground oats. gently turn and coat with the oats all over including the sides. alternatively you can even sprinkle the oats all over the nugget. do this for each veggie nugget and keep them aside. when the oil becomes hot, gently slid the veg nuggets in the oil. do not overcrowd the nuggets in the kadai or pan. 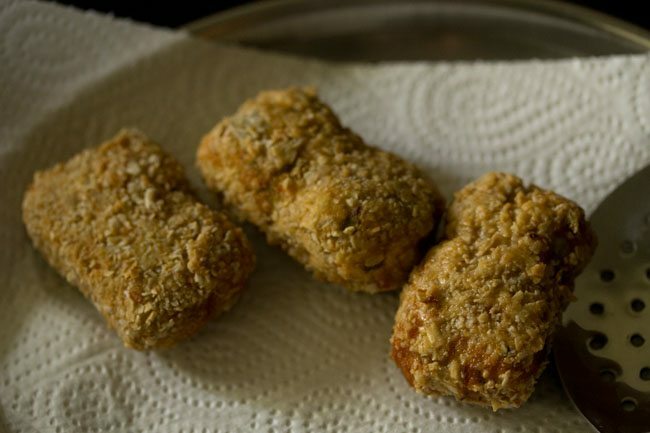 fry veg nuggets till they are golden and crisp. remove the nuggets with a slotted spoon. keep them on kitchen paper towels so that extra oil is absorbed. fry the remaining veggie nuggets in batches. 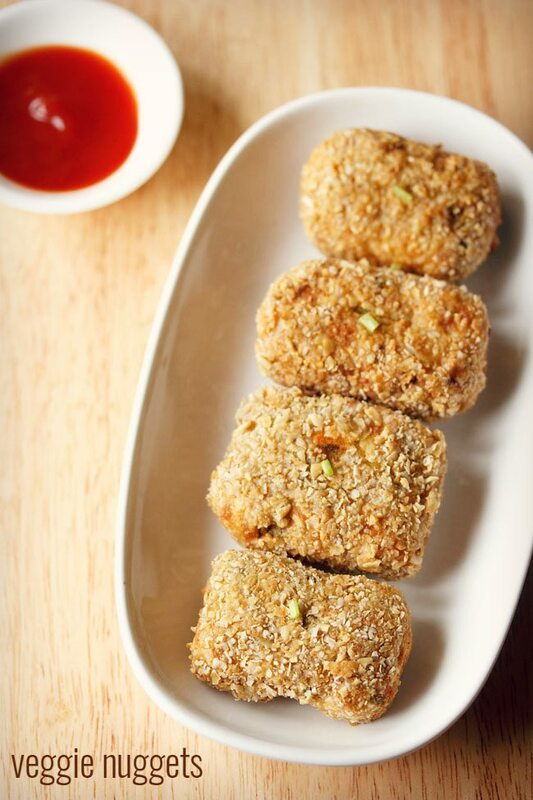 serve these veg nuggets with any chutney or sauce or dip. 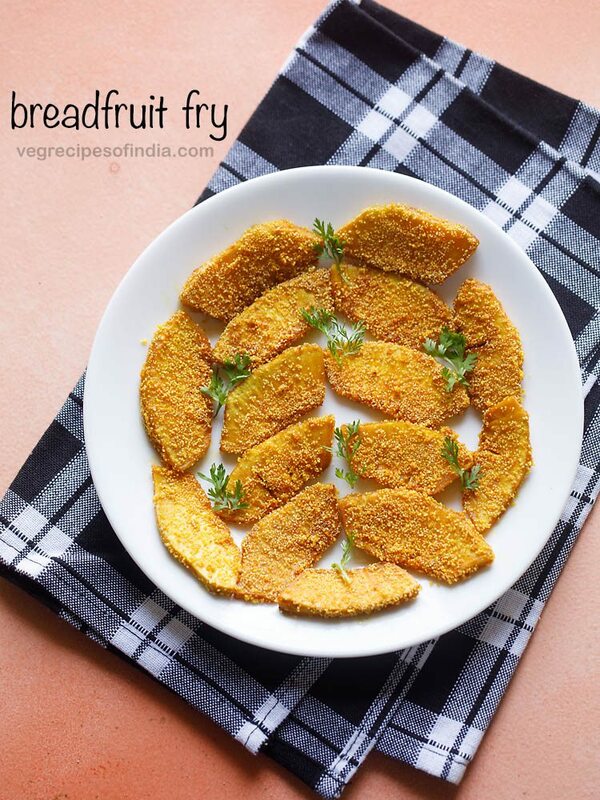 these veggie nuggets can also be pan fried, shallow fried, baked or air fried. if baking veg nuggets - then bake at 180 degrees celsius. brush some oil on the breaded nuggets and bake in a preheated oven for 15 to 20 minutes or more till they are crisp and golden. timing will vary depending on the oven type, make and size. 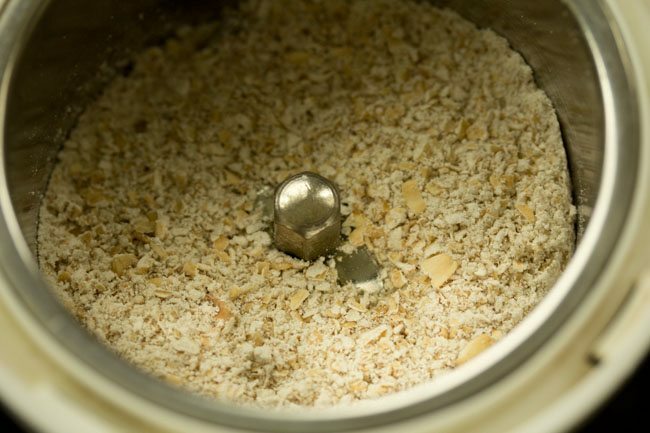 1. in a grinder jar or blender add ½ cup quick cooking oats. 2. blitz or pulse till you get a coarse texture like. if you do not have oats, then use 4 to 5 slices of leftover bread. break them and add to the grinder. grind to a semi fine mixture. remove the ground oats in a plate or tray. 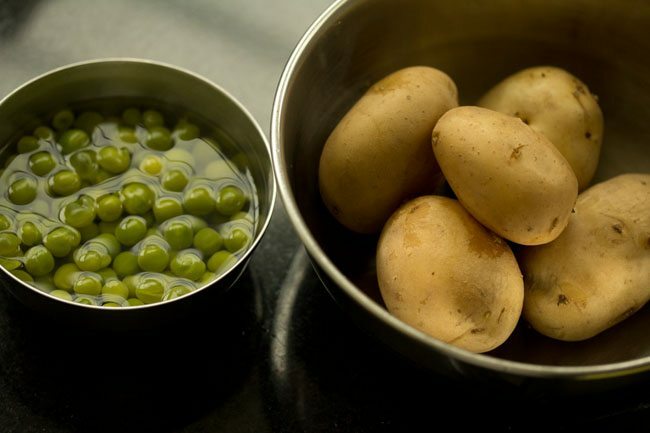 3. steam or boil 5 medium potatoes (250 grams) and ½ cup green peas in a steamer or pan or pressure cooker. 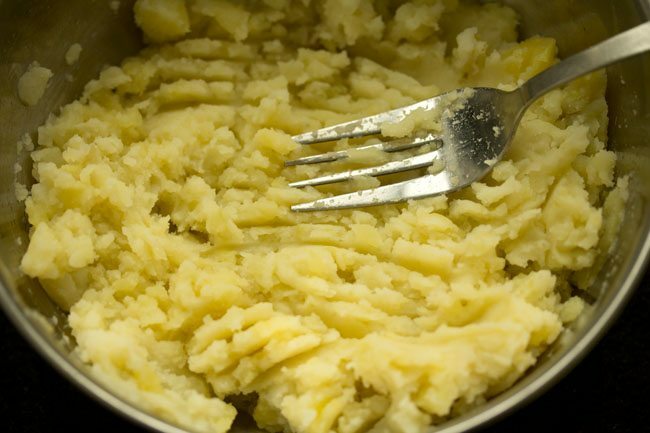 4. when the potatoes become warm, then peel & mash them with a fork or potato masher. if using leftover mashed potatoes, then you will need 1.25 cups mashed potatoes. 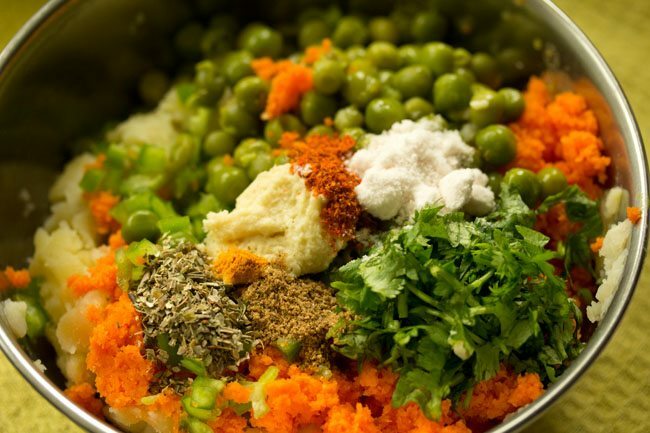 5. now add the cooked green peas, ½ cup minced or grated or finely chopped carrots, ⅓ cup finely chopped capsicum to the mashed potatoes. 6. add the following spices and herbs – 1 teaspoon ginger garlic paste , ½ teaspoon dry oregano, ¼ teaspoon red chili powder, ¼ teaspoon garam masala powder, ½ teaspooon crushed black pepper or pepper powder, 1 tablespoon chopped coriander leaves or parsley leaves. also add salt as per taste. instead of oregano, you can use dried mix herbs or any dried herb of your choice. 7. now add 3 tablespoon slightly roasted besan or ¼ cup grated processed cheese. you can also add corn starch or rice flour or all purpose flour instead of besan. 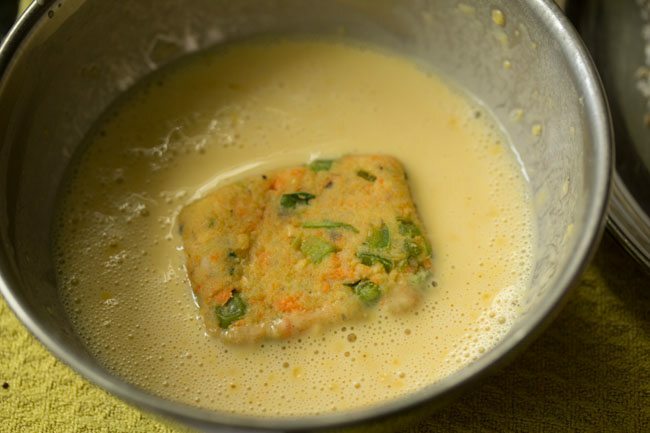 to roast the besan, take a small pan and with continuous stirrings roast the besan till aromatic. 8. mix very well and then add 1 to 2 tablespoon of the ground oats. mix again very well. check the taste and add more salt or spices if required. 9. now make a flat log shape like that shown below. 10. gently slice the log and get nuggets. you can even take a small portion of the mixture and shape in to nuggets. i found the log part not so easy, so i finally shaped the nuggets with my hands. keep aside. you can even shape them in to round patties or tikkis. you can even refrigerate or freeze these nuggets and then fry later. 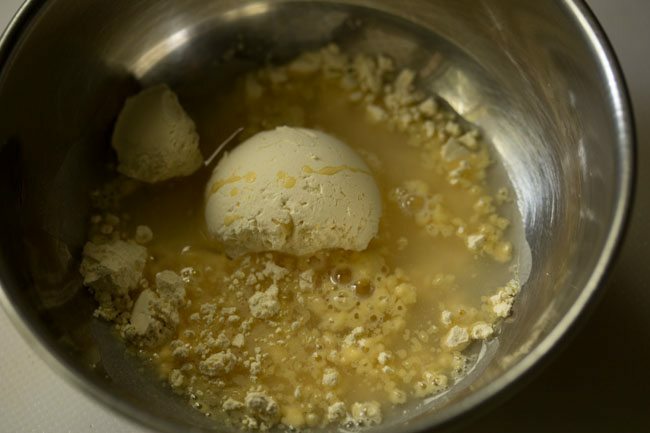 in fact the entire mixture can also be refrigerated for a couple of hours before you shape them. 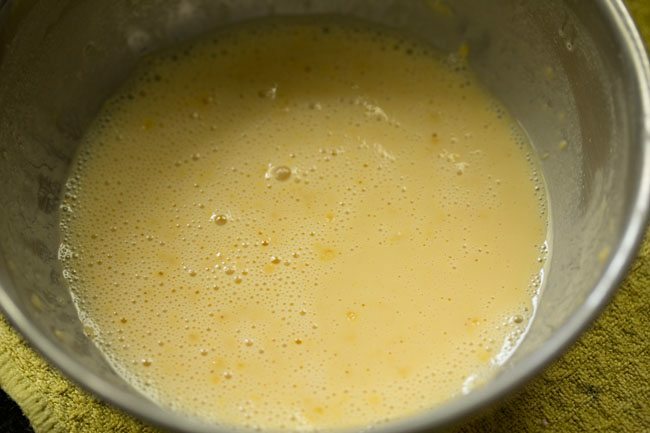 11. in another bowl, take 2 tablespoon besan/gram flour and 2 tablespoon water. 12. mix very well to a smooth paste. instead of besan you can take half-half of all purpose flour (maida) and corn starch. you can also take rice flour or maize flour or arrowroot flour. 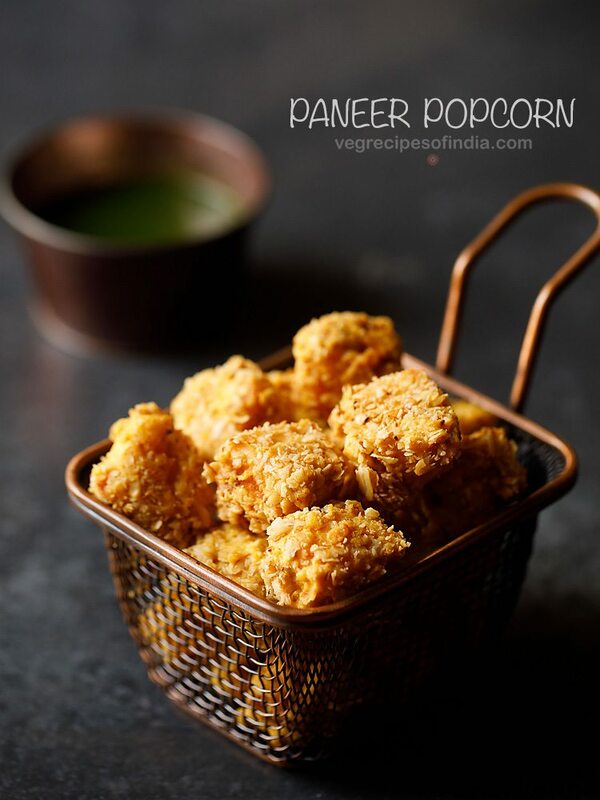 13. take each veggie nugget and dip in the besan batter. 14. gently turn over so that the besan batter coats the nugget. remove and let the excess batter drip off. 15. now place the batter coated nugget on the ground oats. 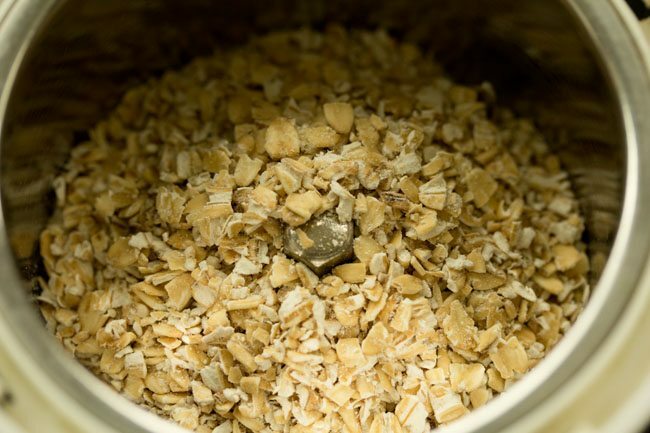 instead of oats you can use breadcrumbs or ground corn flakes. 16. gently turn and coat with the oats all over including the sides. alternatively you can even sprinkle the oats all over the nugget. 17. do this for each nugget and keep them aside. 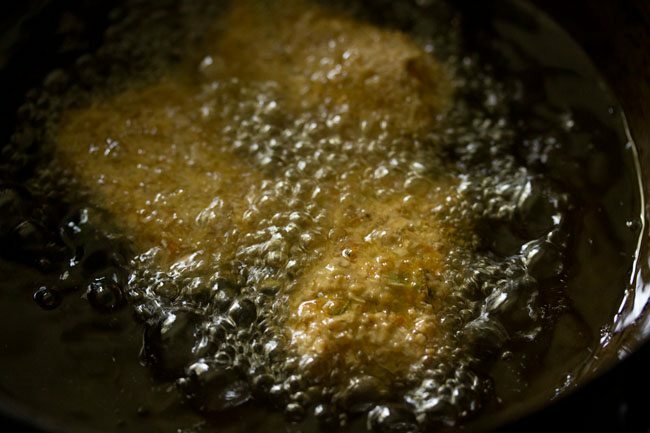 before you prepare all the batter coated and breaded nuggets, fry a batter coated & breaded small piece of the mixture in oil. 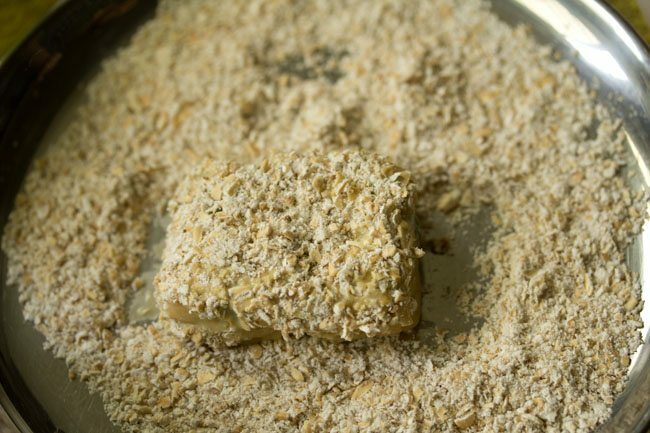 if the small piece breaks in oil, then add 1 or 2 tablespoons of the ground oats or breadcrumbs to the mixture and mix again very well. also the oil should be hot, before you test. 18. heat oil for deep frying in a pan or kadai. 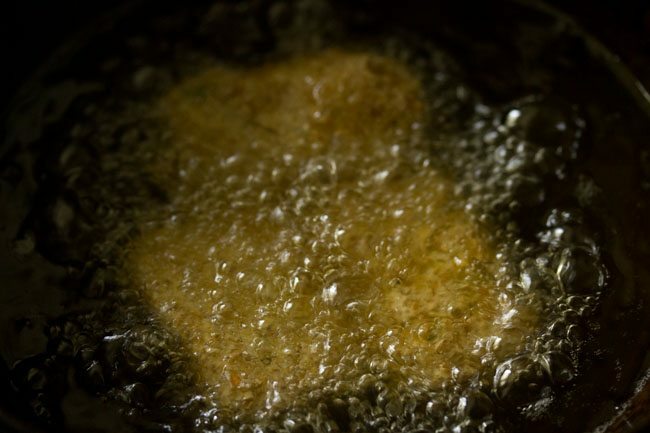 when the oil becomes hot, gently slid the nuggets in the oil. 19. do not overcrowd the veg nuggets in the kadai or pan. 20. when one side of the veggie nuggets gets light golden, then carefully turn over each nugget with a slotted spoon and fry the other side. 21. when the other side also gets light golden, turn over again. 22. flip twice or thrice and fry each veg nugget till they get crisp and golden. 23. then remove the veggie nuggets with a slotted spoon. 24. keep them on kitchen paper towels so that extra oil is absorbed. fry the remaining veggie nuggets in batches. 25. serve these veg nuggets with any chutney like coriander chutney, mint chutney, green chutney or tomato sauce or dip. I want to add rice to the mixture. How much rice would be recommended and do I need to alter the amounts of other ingredients if I do this?? you can add cooked rice.1/4th cup of cooked rice should be fine with the rest of the ingredients in place. you can even add 1/3 to 1/3 cup, but then you can cut down on the veggies. reduce the veggies by 1/3 to 1/2 cup. Easy to make, yummy to eat. Awesome instructions as always. Thank you. Fantastic in yeast. Easy to make. 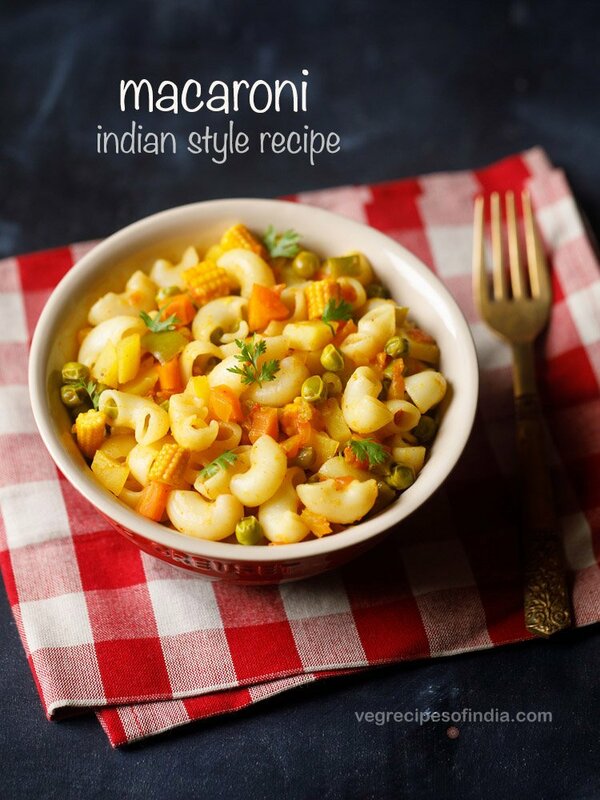 Thanks Shishir Dube for sharing positive feedback on recipes.